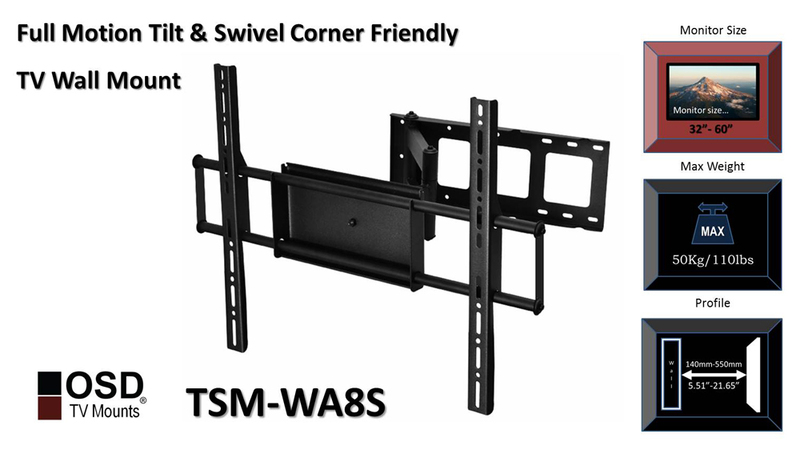 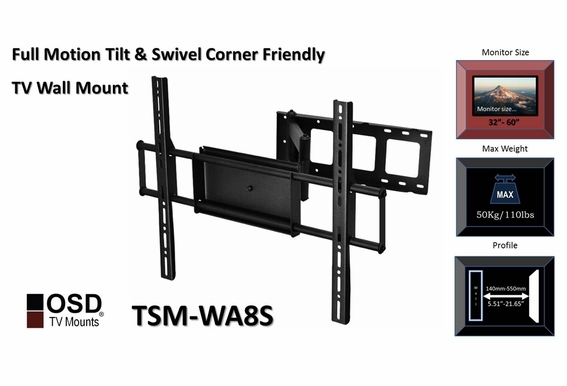 For flat walls or corners, this full-motion tilt and swivel mount handles flat screen sets up to 70 inches with a max weight of 110 pounds. 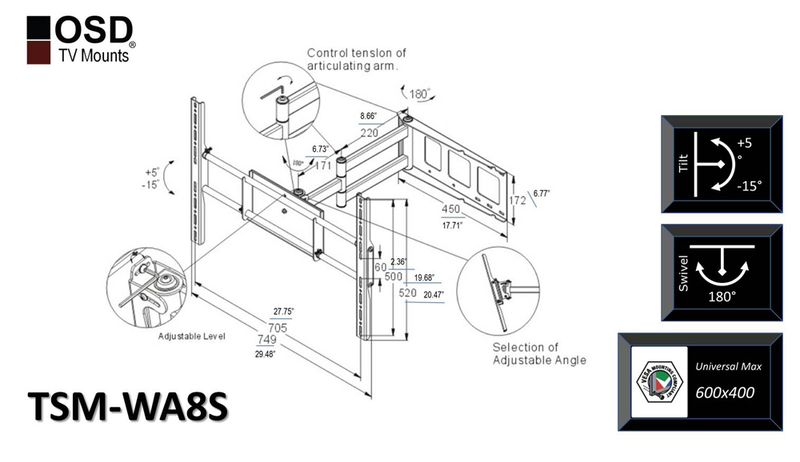 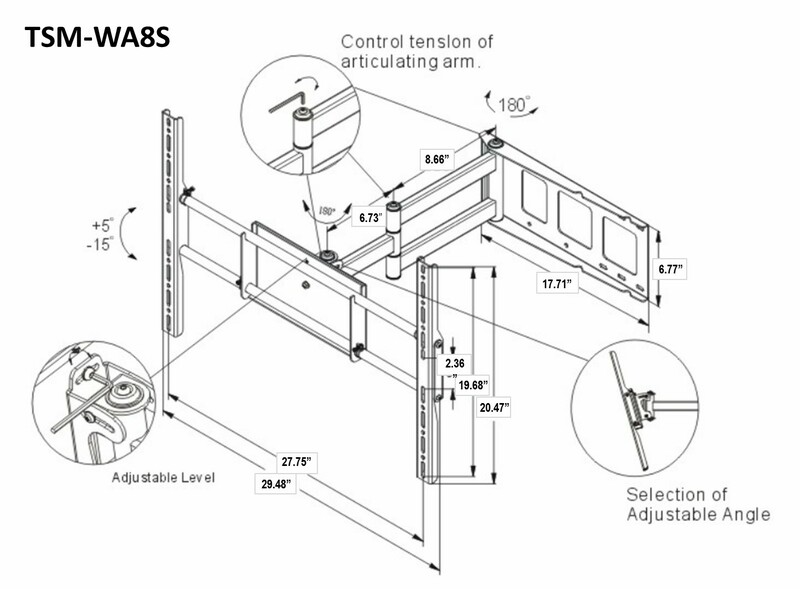 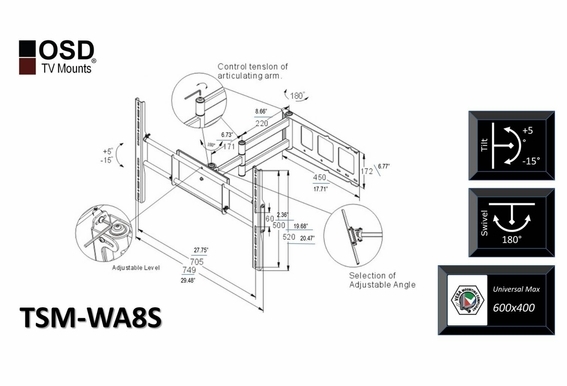 If you look at the diagram, you'll see that this the articulating arms will allow you to move your screen in multiple directions so you'll always have great line of site. 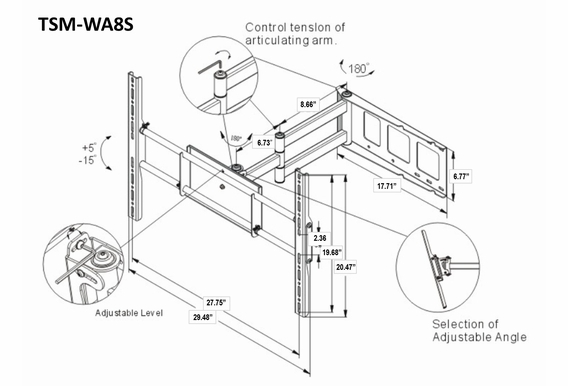 This mount tilts 15 degrees up and down and offers an impressive 180-degree pan and swivel. 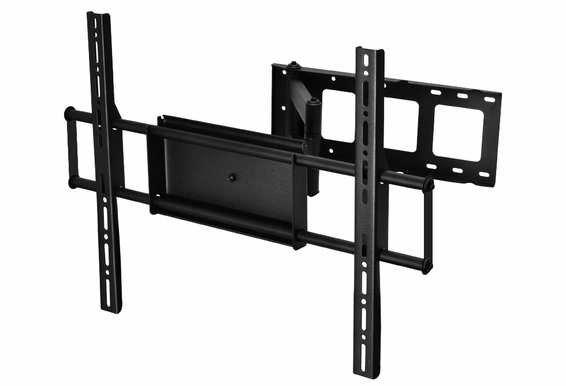 This is a great mount for great rooms, rooms with fireplaces, master bedrooms where ever you need to free up space. 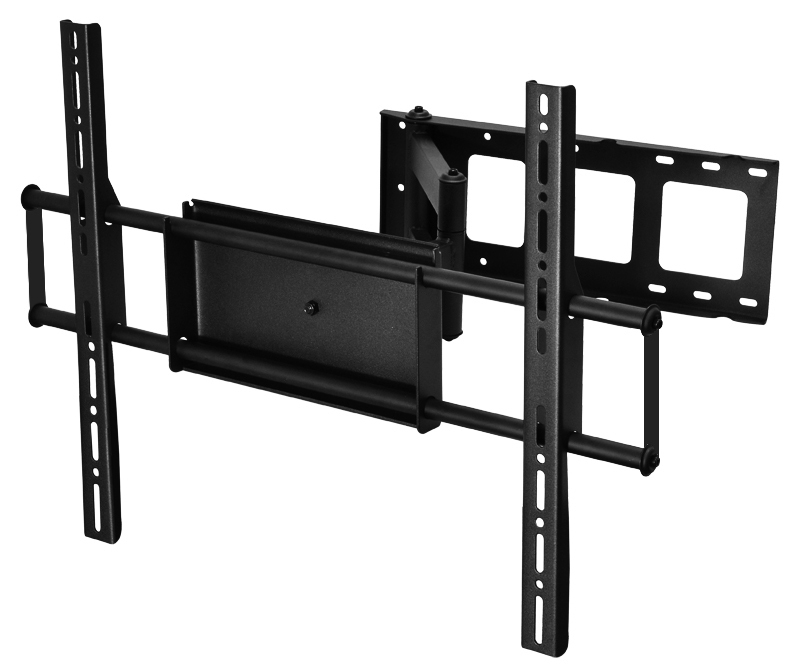 Screen Size: 32" - 70"